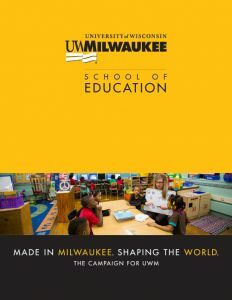 This piece tells the story of amazing things happening at UWM and lists opportunities to support our student success, research excellence, and community engagement. 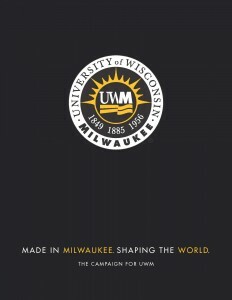 With more than 100 corporations actively recruiting our engineering and computer science students for internships, co-ops, and full-time employment, UWM has become a driver of economic vitality for our region and beyond. A national leader in educating health professionals and conducting research, the College of Health Sciences is a vital resource for our region’s health care industry. 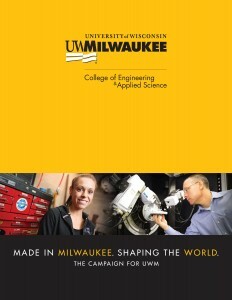 Nearly every UWM student, regardless of major, takes classes in the College of Letters & Science. 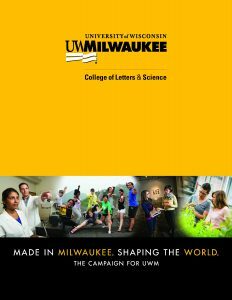 Home to the university’s liberal arts disciplines, the College of Letters & Science is at the core of UWM. 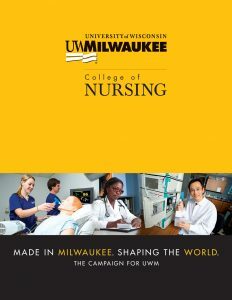 UWM educates more nursing students than any other nursing school in the state, and we consistently rank in the top 10 percent of graduate nursing programs in the U.S. Read how donors are helping to keep this program strong. It’s time to replace our 63-year-old Neeskay with a new research vessel and floating classroom specifically designed for our region’s most important water resource. Our students have a passion for service and a dream of making a difference in the lives of individuals and in their communities. 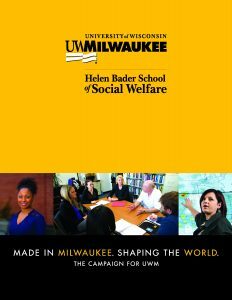 Support for the Helen Bader School of Social welfare helps our alumni, faculty, and students make their mark on the world by addressing some of society’s most pressing issues. 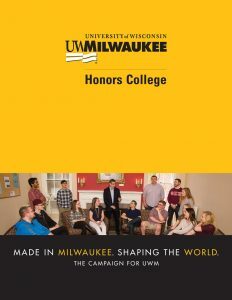 Outstanding students from each of UWM’s undergraduate schools have found a home within the Honors College. Support for this program gives our most exceptional students the tools they need to realize their incredible potential. Entrepreneurial thinking is critical to a healthy economy. 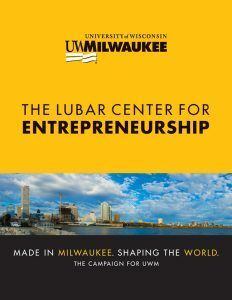 Read how UWM is leading the way by creating strong business partnerships and encouraging student engagement in innovation and entrepreneurship. 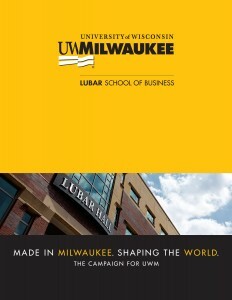 UWM educates more business students than any other school in Wisconsin. Read why business leaders and alumni are passionate about preserving the school’s role as a pipeline for talent. 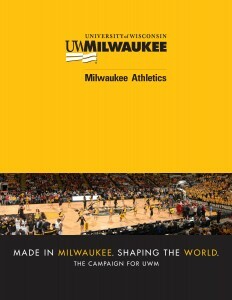 The success of UWM’s Athletics program brings recognition to the entire university at the local, state, and national levels. 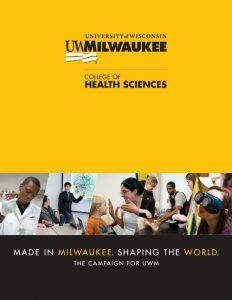 Learn why our donors believe support for Athletics is critically important to the health of UWM. 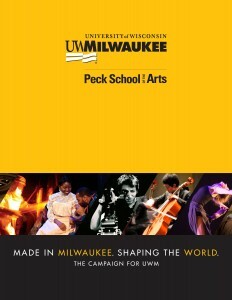 As Wisconsin’s only comprehensive arts school, the Peck School of the Arts is an amazing cultural resource for students and the community. Learn why this school is making student success its number-one priority of this campaign. Scholarships are vitally important to the success of our students. 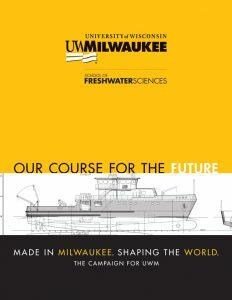 This brochure paints a picture of the financial need of UWM students and shines a spotlight on two alumni who have benefited from scholarship support. 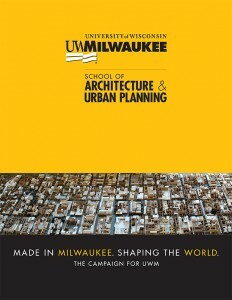 Our students, alumni, and faculty are literally shaping Milwaukee and neighborhoods throughout the world. Learn how donor support is taking this school’s excellent programs to new levels. Our focus on urban education grounds students in the theory and practice of helping youth overcome achievement gaps and educational disparities. Donor support provides our students with opportunities, advances our research, and builds community partnerships. 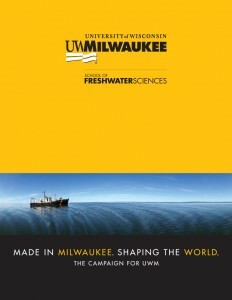 The School of Freshwater Sciences is working diligently to protect our world’s most important asset. Donors are helping this happen through their support for students, faculty, programs, and more. The School of Information Studies is on a mission to advance knowledge and prepare students from diverse backgrounds to be successful information professionals. Read how the school is empowering a new generation to disseminate knowledge and share ideas. 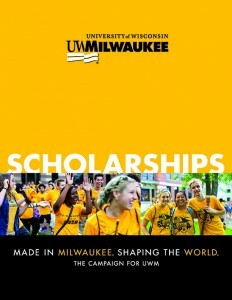 Did you know that nearly 40% of UWM undergraduates are first-generation college students? 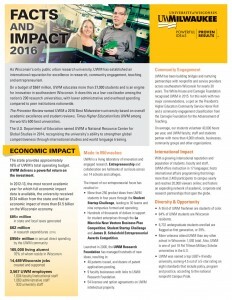 The data presented in UWM Facts and Impact – 2016 might surprise you. 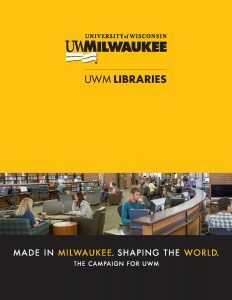 With 5.4 million cataloged items, the UWM Libraries support every one of the university’s colleges, schools, institutes, and centers. 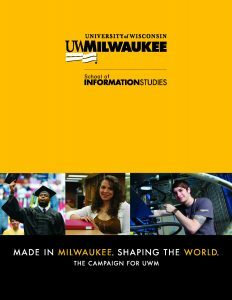 The Libraries play a critical role in research at UWM, and support for this area benefits the entire UWM community.